God is Love, yet how does anyone begin to describe what Love is? Love itself is a bit ambiguous and difficult to fully understand. In the English language “Love” has many different meanings and flavors depending on the context of it’s use. There is the love of passion and obsession, the love of friendship and of family, and… Spiritual Love, the love of God. Spiritual Love… God’s Love is multi-faceted and somewhat difficult to describe. This Love is a mixture of all good things. Describing this Love is as overwhelming as when we are attempting to describe God. There are many different ingredients that make up love: kindness, patience, empathy, forgiveness, long-suffering, compassion, hope, humility, acceptance, encouragement, generosity… just to name a few! I have come to understand this love, God’s Love to be like a bowl of soup with each of Love’s ingredients creating Love’s life-giving sustenance and rich flavor! Each of our bowls has a slightly different texture and flavor. Our love consists of the same basic ingredients in amounts as unique as each of us! Your bowl may have a greater amount of patience; mine compassion. Our brother might have a generous amount of humility, your neighbor may demonstrate gracious hospitality and our sister might exude hope! Love is filled with many ingredients that give Love it’s rich flavor! Each of us can make our own pot and share it with whomever we choose and with whom God calls us to! We each love differently with slight uniqueness to our recipes. Love is as diverse as each of us and this is reflected in the Love Soup we offer to each other, to ourselves and to the World! The soup of God’s Love is something we can never get too much of and it warms the soul. 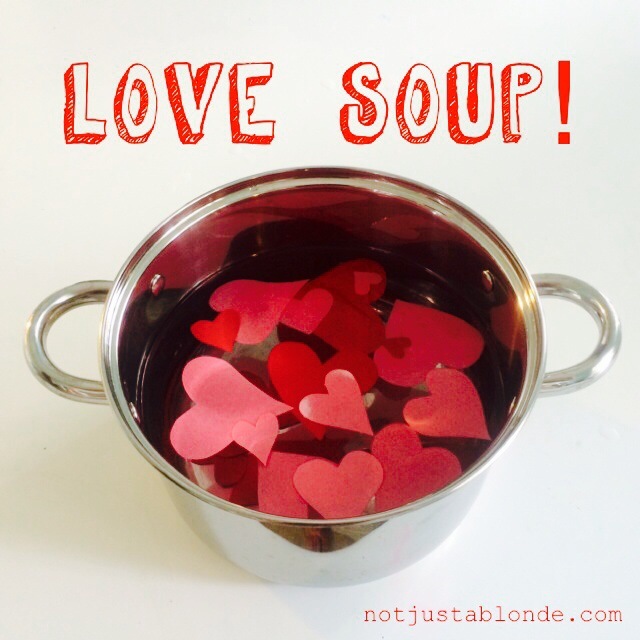 Pull up a chair, grab your spoon and feast on some Love soup! Ephesians 4:2 ~ Be always humble, gentle, and patient. Show your love by being tolerant with one another.